480-456-8888 | Parking Lot Striping And How It Effects Your Commercial Property. Parking Lot Appearances Are Critical To Your Commercial Property Maintenance. It Is Also Imperative To Have Your Parking Lots Safe For Drivers And Pedestrians. 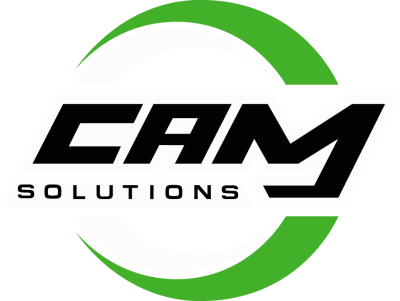 CAM Solutions Offers New Parking Lot Striping, Which Is Critical For The Safety Of Your Customers And The Organization Of Your Commercial Property. Professional Parking Lot Striping Of Your Parking Lots Helps With Increased Efficiency, Accident Reduction, And They Are Also Aesthetically Pleasing To The Eye. Crisp New Lines Create A New Look Which Customers Will Equate To The Professional, Organized, Clean Look And Feel Of Your Business. We Leave Professional Lines As We Chalk All Of Our Parking Lot Striping Before Painting To Ensure Quality. CAM Solutions Uses Specialized Machines To Create The Perfect Layout For Your Parking Lot. The Parking Lot And Parking Lot Striping Need To Look Professional As It Is The First Thing Each Customer Sees At Your Commercial Property. Our Parking Lot Striping Service Can Assist With The Americans With Disabilities Act Compliancy In Your Parking Lot Or Structure. If Your Commercial Parking Lot Is Not ADA Compliant, You May Face A Loss Of Business And Possible Fines. Let Our Parking Lot Striping Professionals Help You To Determine The Number Of Handicap Parking Stalls Needed For Your Commercial Lot And Also Determine The Most Accessible Parking Stalls For Ease Of Your Customers With Disabilities. These Stalls Must Be Placed Is The Safest Location For Maneuvering From Parking Lots To Businesses Safely And Efficiently.